"Everything down to the calming teas they serve while I'm waiting works together to create an atmosphere of complete relaxation and bliss." 541-488-3335. We hope to see you soon. While we do accept “walk-ins” it is best to book in advance as we get quite busy during the theatre season and on weekends. You can make a reservation by phone, on our website, or via email. A credit card number, cash or check deposit will be required to hold all advance bookings. A 50% nonrefundable deposit is required for groups of 3 or more. Wear whatever is comfortable. We will provide you with a robe and slippers for your spa treatments. During your treatments, our therapists are trained to drape you appropriately for privacy. If you are having a treatment that involves a bath or steam shower, we provide shampoo and conditioner. Our dressing room has a hair dryer as well as different products to try, but you may want to bring a hair brush, deodorant, or anything else you need to get dressed following your treatment. For the safety of your valuables, we suggest that you leave them at home or in your hotel. The Blue Giraffe will not assume any liability for the loss of valuables. Can I bring children into the spa or salon? In keeping with the serene and peaceful environment of the Spa, please consider leaving small children at home. We do offer children’s haircuts, manicures and pedicures in the salon, but children must be accompanied by adults. We also do not offer massage or body treatments for children under the age of 18 without an accompanying adult. It is a good idea to arrive 5-10 minutes early, especially since parking can be a particular challenge in the downtown area. This will ensure that you have time for your complementary pre-treatment services, as well as enough time for your treatment. Please understand that your treatments will end on time so the next guest will not be inconvenienced. We have a public parking lot adjacent to our building and a posted private parking lot a half block down on Water Street, across for the Ashland Creek Inn and behind the Ashland condominiums. If these lots are full, there is street-side parking near the spa. Just talk to us. Talking to your therapists will help them customize your treatments to ensure your maximum enjoyment. If your therapist’s touch is too deep or too light – mention it! They’re there for you and their goal is to provide you with the best possible experience. I am not sure if it is ok to talk during a spa treatment. What is considered proper? There is no pressure to talk during a treatment. It’s entirely up to you. If you have questions or would like to talk during the session, please feel free to do so. The staff will take their cues from you. If you are quiet, they will be too. All of our practitioners are licensed by the State of Oregon and must meet our standards of experience and training. The best measure of our staff’s competency is honest feedback, which we encourage our client’s to give us on a continuous basis. Rates do not include gratuities for your technicians and attendants. They are both appropriate and appreciated. Fifteen to twenty percent is the industry standard for gratuities, and may be added to a check or credit card. For your convenience, envelopes are provided at the reception desk for cash tips. An additional 18% service charge will be added to groups of 3 or more. You can purchase gift certificates over the phone, online, or in person. Our gift certificates are valid up to one year after the purchase date. Gift certificates are not redeemable for cash and are non-refundable. As a courtesy to other guests and our practitioners, please give us a 24 hour notice if you must cancel or change any treatments. Without this notification, you will be charged for the service in full. Holiday bookings, multiple services, Combination packages, and groups of 2 or more require a minimum 48 hours cancellation notification to avoid charge. Can I return products I purchase? All product purchases may only be exchanged for spa credit to be redeemed towards future product purchases or spa treatments. Credit will not be allowed for products that have been opened, used or damaged or where more than 30 days have passed since the date of purchase. We accept VISA, Mastercard, American Express, bank debit cards and cash. Personal checks are accepted with identification and are subject to a $25 return fee. Once you’ve checked in, we’ll show you to the dressing room where you can change into one of our silky spa robes. Next, you may relax in our comfortable lounge, enjoy a complementary warm neck wrap and a hot stone foot pamper. Prior to your facial, your esthetician will provide a thorough consultation to analyze your skin and recommend a customized treatment to meet your specific needs. Your facial may include a cleansing, toning, vapor, steam, exfoliation, massage, masque and moisturizer. Directly after your facial, we recommend you refrain from applying make-up or taking a shower, allowing for maximum product absorption into the skin. All of the professional products we use are available for purchase, making it easy for you to keep your skin beautiful every day of the week. What should I expect when I get a scrub or polish? Before your service you will change into one of our silky robes and relax in the lounge. Your service will begin with a luxurious hot steam in our tiled steam/shower room, allowing your pores to open. After your steam, your therapist will take you to a nearby treatment room where you will recline on a heated massage table, draped in a protective covering. Your technician will exfoliate your skin using salt crystals and selected beneficial products, which may include specific oils, lotions and vitamins. Following your treatment, you’ll be able to take a steam and shower to eliminate any product residue. What should I expect when I get a massage? Once you’ve checked in, we’ll show you to the dressing room where you can change into one of our silky robes. 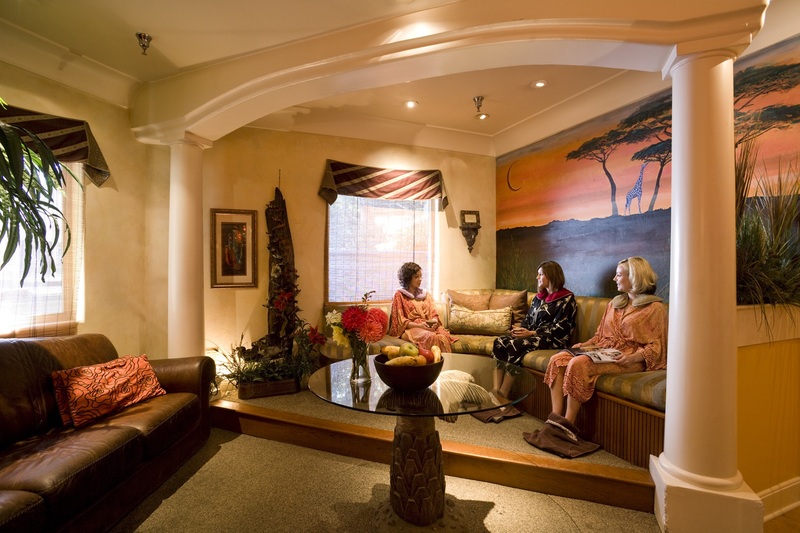 Next, you can relax in our comfortable lounge and enjoy a warm neck wrap and a hot stone foot pamper. While you are waiting, you can sample and choose the doTerra aromatherapy essential oil you’d like to experience during your treatment. Your therapist may ask you about any special needs or concerns, and about any past or current injuries. During your massage, please feel free to ask your therapist to adjust his or her pressure or technique as needed. Please be aware that Deep Tissue bodywork can result in sore muscles for several days following your treatment. We recommend drinking water after your massage. What should I expect when I get a wrap? What should I expect when I have a Botox treatment? When Botox is used appropriately, it is one of the safest treatments for reducing wrinkles. The dosage of Botox will vary depending on what specific areas of your face you want to treat, and what outcome you are looking for. Go au naturel – Your skin will be cleaned with rubbing alcohol or an antiseptic before you get Botox, so feel free to show up to your appointment with nothing on your skin. Stay still but pay attention – If you are afraid of needles, don’t make yourself writhe with discomfort by thinking about them. Set your mind on something else. Stay still but pay attention and follow your practitioner’s instructions. Use an ice pack – Ice before, during, and after Botox can help reduce any potential signs of bruising. Don’t touch your skin where the Botox was injected. Avoid rubbing and massaging the treated area for 24 hours. Avoid getting facials, chemical peels, microdermabrasion for 24 hours. Common side effects of Botox injections are bruising, redness and swelling, and minor bleeding. Usually these side effects go away in 2 to 3 days. Botox usually lasts 3 to 4 months, but can vary widely from person to person.